In response to a recent (and dubious) phenomenon where employers require employees to fork over the proverbial keys to their online accounts, U.S. House Democrats are working to pass legislation which will prohibit this practice all together. 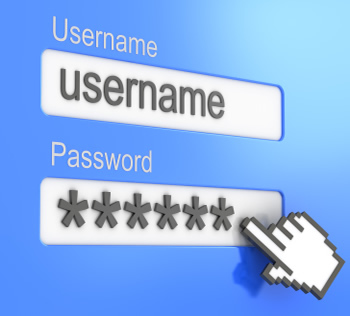 The Password Protection Act of 2012 is poised to put nosey employers on time-out, forbidding businesses from requiring subordinates to divulge their personal, online account passwords. Here's a synopsis of the bill (pdf), drafted and supported by a number of Democratic congressional and senatorial members. "The Password Protection Act would make it illegal for an employer to compel or coerce access to any online information stored anywhere on the Internet if that information is secured against general public access by the user." [...] "This is accomplished by prohibiting employers from compelling or coercing access to, and subsequently retrieving information from, the online servers where private user information is stored. (These servers are referred to as 'protected computers' in the legislation.) "
Additionally, while the proposal aims to stop such invasive snooping techniques, it tries to do so without crippling an employer's authority over their own systems. The practice of employers leveraging social media websites in order to vet future employees and keep tabs on existing ones has long been commonplace. Want to find out more about a person? Check out their Facebook page. Want to see what someone has been up to? Pay a visit to their Twitter page. In more recent times though, employers have taken that ritual to the next level -- you either give them your password or forget about being employed. For example, this account by a Maryland corrections officer highlights what is quickly becoming the norm for sensitive positions. In the past, Facebook has frowned upon this activity. In March, the social networking giant updated their terms of service in order to expressly prohibit employers from requesting passwords. It's not unreasonable to believe this practice hurts the Facebook brand as college students everywhere second guess uploading those drunken frat party pictures from last night.